As the drama currently going on between celebrity couple, Mide Martins and her husband, Afeez Owo continues to unfold, more dirty secrets are being revealed. According to close and very reliable sources, the reason why Mide’s husband abandoned her is because the actress allegedly slept with her husband’s bestfriend in South Africa to get a major endorsement deal. How did the source find out?? The man who slept with her confided in a friend who in turn informed her husband. 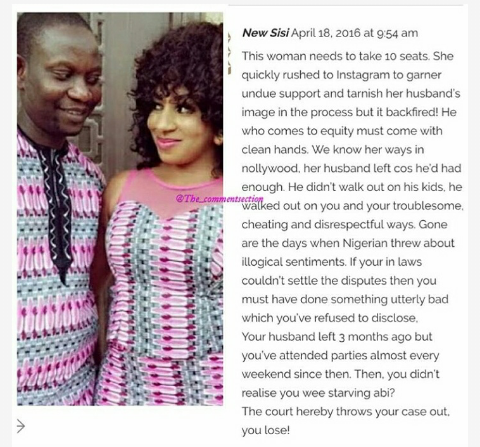 This is one of the several alleged stories of infidelity on Mide’s part during the marriage. Another issue that was raised is that Mide Martins’ libido is very high to the extent their maid caught her frolicking with a man whom used to live with the couple sometime last year. Though she denied it, her last trip to South Africa inevitably exposed her numerous ‘sexapades’. 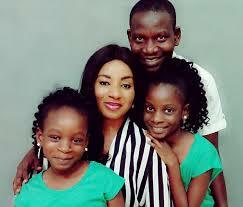 Another source also said that Mide Martins was so desperate she tried to woo her husband with a love portion.